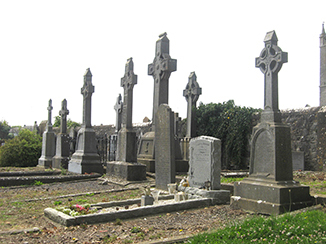 A large graveyard which surrounds the ruins of an old church dedicated to St. Patrick, located on the south side of the town of Skerries, Fingal, Co. Dublin. There is a stone to Peter Mainn, Prior of the House of the B.V.M. 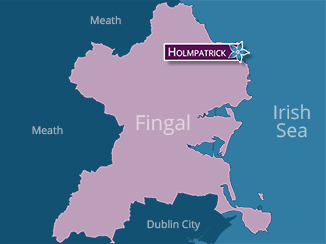 of Holmpatrick dated 1520, the earliest recorded in Fingal. There are a number buried here who fell during the Great War. There are also some who fought for Irish Independence, and some who died for it, including John Terry Sherlock, killed 1920. The family vault of the Woods’ of Milverton is in this graveyard, where many of their staff are also buried.